Another titan of our craft has fallen. Today we mourn the passing of Ricky Jay. Though I never managed to get him to agree to an interview on the podcast, Ricky was hugely influential on me and my love of close up magic. Born in 1948 as Richard Jay Potash, "Ricky Jay" is considered to be one of the most significant figures in close up magic. Mark Singer, writing for "The New Yorker" called Jay "perhaps the most gifted sleight of hand artist alive". Thank you Ricky. You will be sorely missed. It is with a heavy heart that I share the news of the passing of Harry Anderson. I was very fortunate to have an opportunity to hang out with Harry on several occasions as well as to see him perform live numerous times. The first time was before his days on the hit SitCom "Night Court" at the Punchline in Atlanta. 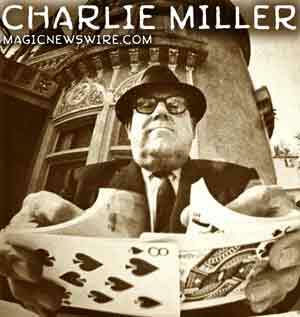 He performed the comedy and Magic act for which he is now so well known. A few years ago, I again met up with him at the Punchline after a rare public performance which included his unique ventriliquism act. 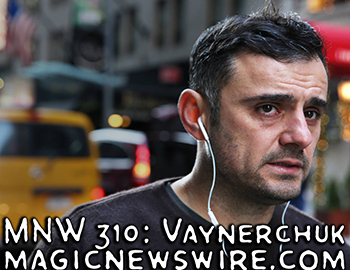 I was also very lucky to have Harry join me on the Magic Newswire podcast on several occasion and you can listen to them below. Rest in peace Harry the Hat! You will be sorely missed. Eugene was also amongt those interviewed to discuss their contributions to the Genii 75th Anniversary Special Edition of the Jinx. Other guests included Mac King, Max Maven, Mike Caveney & Jonathan Levit. 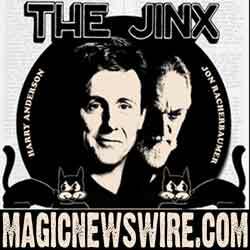 We talk to each of these performers about their contributions to the Jinx special edition and about how Anneman and the Jinx impacted their growth as practitioners in the art of magic and mentalism. Paul Daniels, arguably the best known magician in the UK was our guest on this episode of the "Spirit of Magic" podcast. Paul began performing magic when he was eleven years old. He starred in his own television series "Its Magic" for more than sixteen years and was awarded Golden Rose of Montreux Award at the International TV Festival in Switzerland in 1985. In 1983, Paul became the first magician from outside the US to be named "Magician of the Year" by the Academy of Magical Arts. Sadly, we learned that Paul was ill with an incurable brain tumor which rapidly progressed and has since resulted in his passing. At the time of this interview from 2010, Paul was still touring with his magic show, and had recently presented a intimate show focused on the ‘Magic of Max Malini’. Lets all remember Paul via this chat. You are already missed. It has been a truly rough week for the magic community. This afternoon I learned that we had lost yet another member of magic's royality, "Princess" Irene Larsen. It is with the greatest sorrow imaginable, that we announce the passing of my beautiful, beloved mother, Irene Larsen. She left us suddenly, but not before touching many, many lives deeply and permanently. She was grace personified. Her love is all around us. She will be missed forever. The family is grieving, and we appreciate your kind words and we know you are hurting too. We will never stop celebrating Princess Irene. I was incredibly lucky to have a few moments with Irene very early on in the production of this podcast. Enjoy remembering her with me. She will be truly missed by us all!